New Interactive Tool for Mediators and Lawyers – Enlightened Littles, Inc.
A few months ago we were contacted by MWI – a prominent Mediation firm in Boston that often deals with Family Law cases. They reached out to us to ask if they could review our “My Two Homes” Magnetic Co-Parenting Calendar. Since our mission at Enlightened Littles is to provide helpful tools and toys that help children thrive in Co-Parenting, Single-Parent and Blended Families; we were of course very excited to be able to reach a wider audience of families in Boston with the potential exposure from MWI. Once we found out more about MWI, we were even more excited about collaborating with them. Since many of our team members at Enlightened Littles have had very negative experiences with going through the traditional Family Law Court system, we are always extremely supportive of Mediation firms and the art of Mediation for Family Law cases in general. We found out that MWI also trains Mediators and often works with the State to provide effective Parenting classes when couples divorce or separate. Since our “My Two Homes” Magnetic Co-Parenting Calendars have been proven to "relieve the anxiety of children going through divorce” by the Denver Association for Play Therapy, we love it when our calendars are brought to Parenting classes so that newly divorced or separated families can benefit from them as they embark on their new Co-Parenting journey. 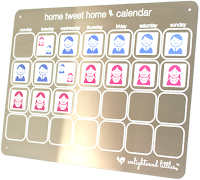 As soon as MWI received our Co-Parenting Calendar, they contacted us right away to let me know how impressed they were with the quality of the stainless steel calendar and they soon began taking the calendar to their upcoming engagements with clients and co-parents. As promised, they posted a review of our Co-Parenting Calendar on their very popular Divorce and Mediation Blog. Extremely honored and ecstatic to read the review, our team carefully coursed through every word of their review. We loved hearing how much they liked our Co-Parenting Calendar but what was even more exciting to us was that the MWI team had discovered a completely new use for our Co-Parenting Calendars! Our Parenting Time Calendars were originally developed specifically for young children so that they could easily understand their new co-parenting schedule. Thanks to MWI, we were the ones who became enlightened by MWI about the new use of our Co-Parenting Calendars! Thanks to their newfound discovery, we’ve outlined the top benefits to Mediators and Lawyers by using our Parenting Time Calendars in their Parenting Plan negotiations. While most Family Law Mediators and Attorneys use blank calendars printed on several pieces of paper or project each proposed Parenting Plan onto a screen, the magnetic Co-Parenting Calendar is a much more interactive way for clients to reach decisions about their Parenting Plan. The large size (15” x 20”) of the visual calendar makes the difficult task of explaining each Parenting Schedule simple and much easier to communicate to clients and their clients benefit by being able to easily visualize and fully understand each proposed parenting schedule. The magnetic calendar comes with a full set of “Mom”, “Dad”, and “Transfer Day” magnets allowing Mediators and Lawyers to effortlessly communicate each Parenting Plan to their clients. The “Transfer Day” magnets serve as a great tool for illustrating when each proposed custody exchange days would be for each proposed parenting schedule. The ease of use and clarity that the calendar provides significantly speeds up the negotiating process allowing for faster Parenting Plan decisions. The magnetic aspect of the visual Co-Parenting calendar allows for easy adjustments so that Mediators can efficiently and effectively communicate each Parenting Plan to their clients. 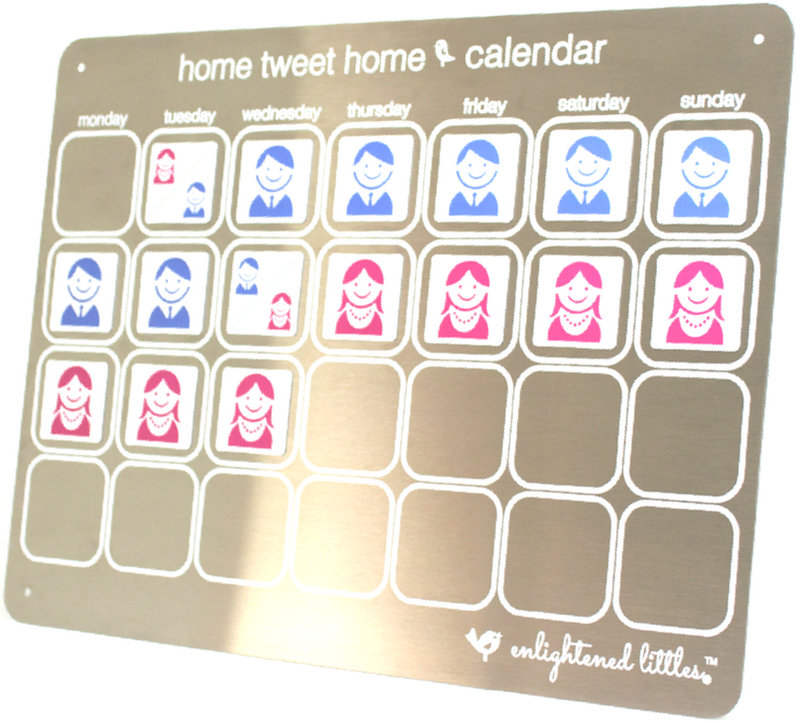 The large size of the calendar and streamlined magnets make this a completely interactive tool which allows for clients to reach Parenting Plan agreements in a fun, quick and interactive manner. 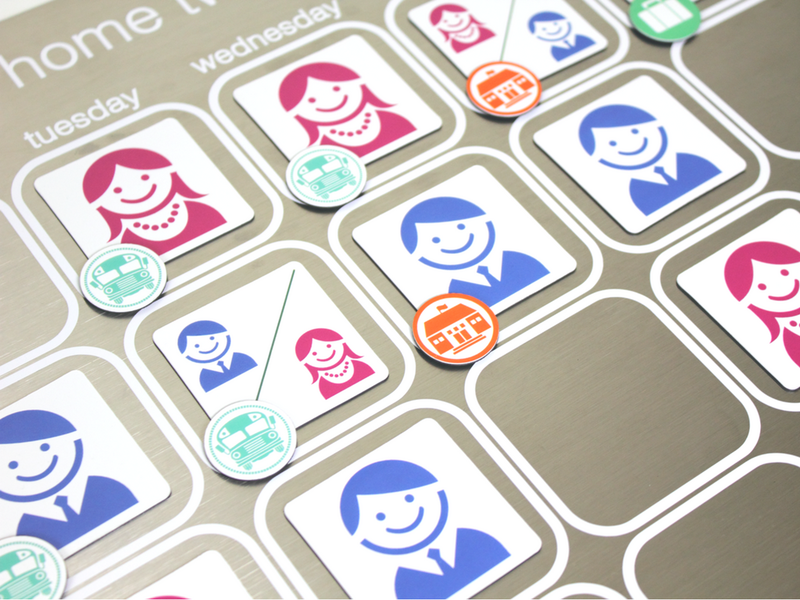 For even greater clarity, there are accessory packs of activity magnets such as school days, daycare days, vacations, and even school bus magnets representing the method by which the child will be transported to each home during the school year. Such customization of the visual calendar is a wonderful way to help each party fully understand each proposed Parenting Plan. 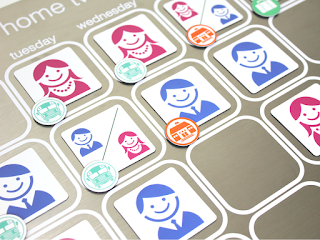 The magnetic and interactive aspect of the Parenting Time Calendar allows each parent the ability to move the magnets around quickly and easily so that each party feels that they have some ownership and power in the final decision. Our “My Two Homes” Magnetic Co-Parenting Calendars have been invaluable to our children, and it warms our hearts to see other children in single-parent, co-parenting, and blended families benefit from them as well. - However, we had never considered what a great tool they would be for the facilitation of Family Law negotiations. We’re so grateful to the excellent team at MWI for letting us know what a great resource our Co-Parenting Calendars are for both Family Law Mediators and Attorneys. MWI is a nationally recognized dispute resolution firm that builds mutually beneficial solutions through mediation and negotiation services, consulting and training. Click here to read MWI’s review of our calendars.